Gamla húsið Bjargarsteinn var byggt sem heimili við Vesturgötu 64 á Akranesi árið 1908 og var heimili til ársins 2008 þegar kirkjan keypti húsið til að fá lóðina undir bílastæði. Fyrirtækið S.Ó. Húsbyggingar tók Bjargarstein að sér og fluttu það frá Akranesi til Borgarness þar sem húsið var endurbyggt. Núverandi eigendur ráku augun í litla húsið þar sem það stóð tilbúið til flutnings með söluskilti á og fengu þá hugmynd að það myndi sóma sér vel sem lítill veitingastaður. Draumurinn var lóð með einstöku útsýni fyrir Bjargarstein og hún fannst við sjávarkambinn í sjávarþorpinu Grundarfirði. Á lóðinni stóð fyrir gamall beitningaskúr og við hann fiskþurrkunarhjallur. Í október 2014 var tekin fyrsta skóflustungan og í fallegu veðri þann 7. desember sama ár var Bjargarsteinn sóttur. Húsin voru gerð upp, byggt var við Bjargarstein. Þann 31.júlí 2015 var veitingastaðurinn Bjargarsteinn Mathús opnaður. The old building Bjargarsteinn was built as a home at Vesturgata 64 in Akranes in the year 1908. It served this purpose until 2008, when the church bought the house to use the land for a car park. The company S.Ó. Húsbyggingar took on Bjargarsteinn and transported it from Akranes to Borgarnes, where the house was rebuilt. The current owners came across the little house where it stood ready for relocation with a “for sale” sign on it, and it occurred to them that it would serve well as a little restaurant. 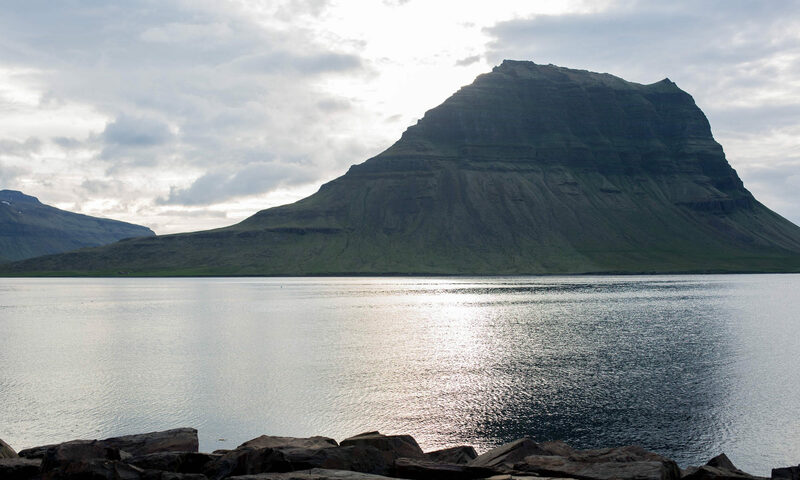 The dream was to find a plot of land with exceptional views for Bjargarsteinn, and they found that by the coastal ridge in the seaside village of Grundarfjörður. The plot had previously had an old bait shack and a fish-drying shed on it. The ground was broken in October 2014, and in beautiful weather on 7 December the same year, Bjargarsteinn was brought to its new location. The buildings were renovated and extended. 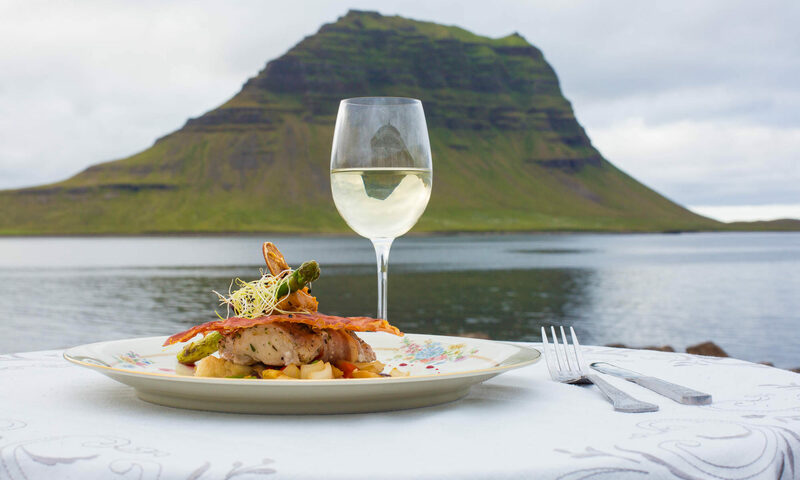 Bjargarsteinn House of Food opened it doors for business on 31 July 2015.